In this paper, we consider a version of the Holmstrom-Milgrom linear model with two tasks, production and administration, where performance is harder to measure in the latter. Both the principal and agent can devote effort to these tasks. We assume there are gains from specialization and that players have a preference for solidarity in work. As the gains from specialization increase, the principal eventually prefers to hire the agent solely for production purposes over autarky. As these gains increase still further, the principal increasingly specializes in administration and in the limit there is a complete division of labor. At the same time, the nature of the employment contract is transformed from one based on solidarity to one based on incentives. We therefore formalize aspects of the thought of Smith and Marx, who held that a division of labor leads to exchange and a deterioration in social relations. Algo me diz que este artigo será criticado em diversos aspectos técnicos. 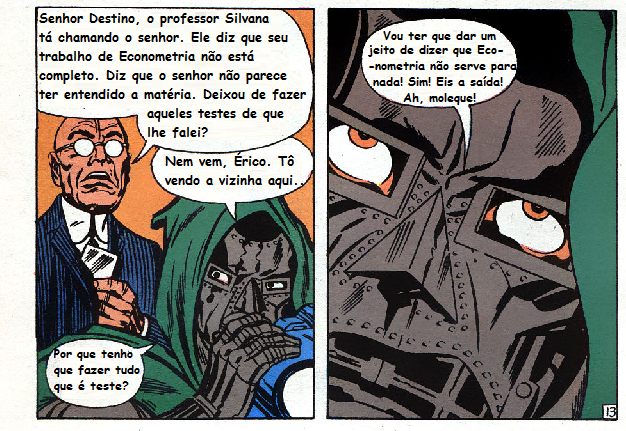 Mas o bom mesmo é ver insights de pensadores clássicos trabalhados da maneira correta, i.e., na linguagem atual da Ciência Econômica.